Olivia visited Portugal for an eight-day trip with the Portugal Board of Tourism. Where: Lisbon, Belem, Sintra, Coimbra, Obidos, Aveiro, Porto, and the Douro Valley in Portugal. How Long: Eight days on the ground and two days for travel due to connecting flights. 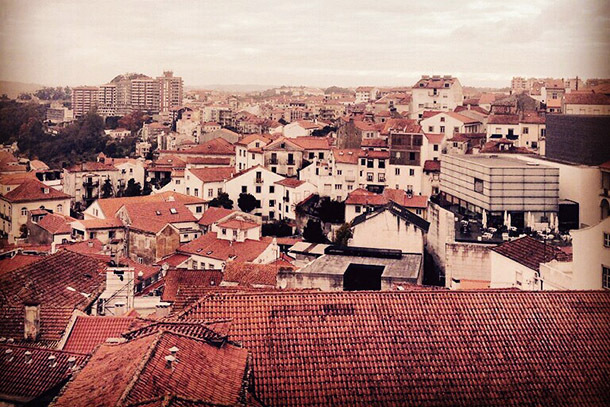 Weather: If you’re planning a trip to Portugal in the winter, be prepared for anything. December is the wettest month of the year, so expect a lot of rain and moisture in the air. While it’s often cold and cloudy, there’s still plenty of sunshine to enjoy throughout the month. During my visit, many afternoons were sunny and cool, and I didn’t need more than a sweater and scarf. Make sure to bring a warm jacket with you for the nighttime, though, because the temperature can drop significantly. This time of year, it ranges from roughly 48 to 60 degrees, and you’ll feel a dramatic change as you go further north. Type of Trip: I needed to pack light-to medium-weight layers that could be dressed up or down and worn in a mild and cold climate. I also needed raingear and comfortable shoes (sneakers and low-heeled boots) for touring historical sites, which involved walking through hilly terrain and cobblestone streets. Packing Challenge: Having a light suitcase was really important because my trip involved traveling to a new destination nearly every day, which meant checking in and out of numerous hotels. My challenge was packing enough clothing articles to last me for nine days and actually fitting them into a carry-on. I needed to bring items could be dressed up or down and weren’t bulky, because I wanted to leave extra room for souvenirs. What I Should Have Left Behind: At night it got extremely cold, especially in Porto and the Douro Valley. I wish I left behind the short puffer jacket I packed and instead brought a longer warm coat for fuller body coverage. What I Should Have Packed: You can count on getting plenty of exercise in Portugal— the country is full of steep hills, and you will do a lot of walking. The downside was that this made my muscles very sore, so I wish I had packed muscle relief cream. I also wish I had put insoles in my sneakers and boots for added support. Also, it is important to note that pickpocketing is common in Portugal, especially if you’re a tourist. Luckily nothing happened to me while I was there, but I also wish I brought a purse that zipped closed rather than buttoned for added security. Olivia Briggs thinks December is a great time for a visit to Portugal. To learn more about her trip, follow her on Twitter @Olileibri.